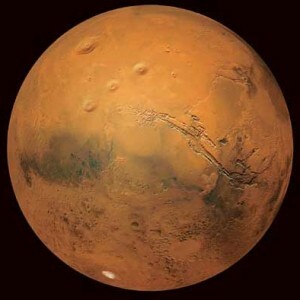 Once upon a time, the only people who seemed to be talking about life on Mars, predicting the future and time travel were science fiction fanatics and the mentally unstable. But today, our top scientists are actually telling us that all of these things are real. Things that once appeared to be great unexplained mysteries are seemingly opening up to the world of science. Or maybe our top scientists are becoming mentally unstable. One way or the other, things that were once forbidden to talk about in the scientific community are becoming headline news. In fact some of the top scientists of the world are saying things that are literally mind blowing. Just consider some of the things that our top scientists have been telling us lately…. *NASA scientists recently declared that Mars “once was, and maybe still is, home to life”. Of course the “life” they are talking about is not little green men, but this is still a stunning development. *Google has invested in a startup company that claims to be able to predict the future. Perhaps they could send some stock tips our way if they are feeling extra generous. *Famed scientist Stephen Hawking actually believes that the Large Hadron Collider could potentially be used to build a time machine. In fact, Hawking claims that humans might one day be able to use time travel to skip generations into the future. Would you actually want to see how your great, great, great, great grandchildren turned out? It is interesting to think about at least. Have NASA, Google and Stephen Hawking totally gone off their rockers or are they on to something? Feel free to leave a comment with your opinion….